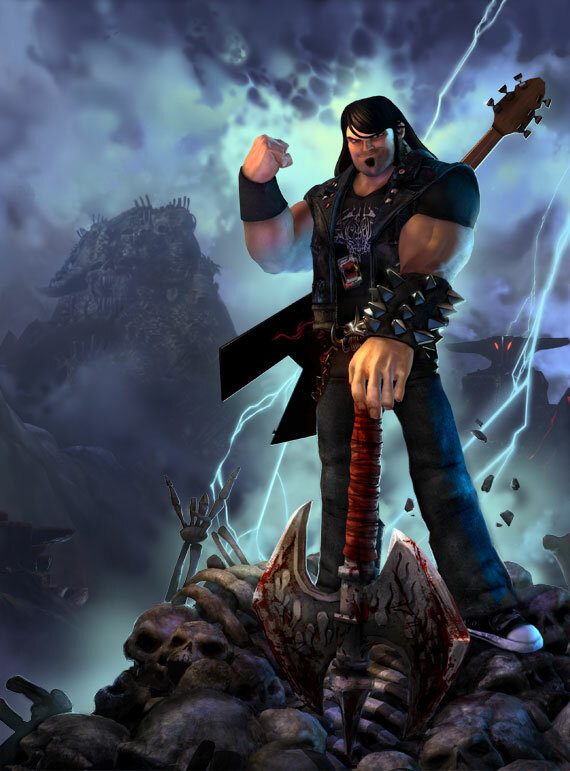 You are here: Home › Game Essays › Where is the Last Third of Brutal Legend? Roger Travis, I welcome you to and kind of expect you to point out everything wrong in the following post. The hero’s journey is divided into three steps. First is the Departure, where the hero breaks away from the mundane world of his previous existence and begins his journey. Then comes the Initiation, where the hero faces trials and contends with obstacles until he succeeds in his quest. Finally there is the Return, where the hero must come back to the mundane world he left, sometimes a struggle unto itself. Step one is the Departure, the section of the hero’s story where he must break away from his normal and often humble life the thrust forward into the events of greater things. 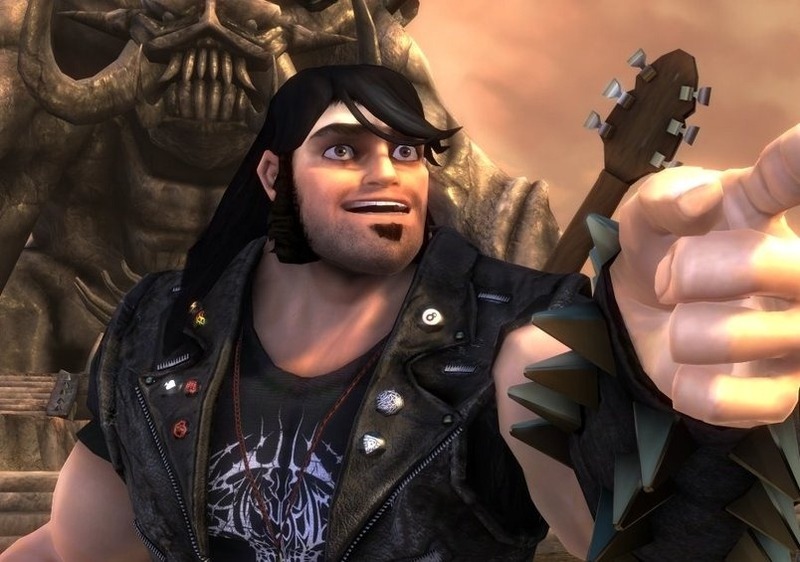 In Brutal Legend we have Eddie Riggs taken from the modern world and thrust into the age of metal. Unlike the average epic hero he does not shy away from journey initially. In fact he embraces it. He agrees to help Lars and become the rebellion’s roadie. Supernatural Aid comes in the form of Ozzy Osborne as the Guardian of Metal, providing upgrades and collectibles. Eddie’s initiation as the monomyth comes with his first mission. You could argue that it is his escape from the Temple of Ormagoden, but there is no agency on the part of the character. That is a struggle of survival not an answering of the call. That portion of the game is still part of the actual call. The Crossing of the First Threshold is the freeing of the Headbangers. Here Eddie has made the choice to fight and in so doing has begun upon the path. Brutal Legend makes an interesting choice by challenging the structure slightly, but keeping within general story telling conventions by having the Crossing the Threshold part mirror the Trials. The First Threshold is the saving of three groups so that they can begin the rebellion. Eddie not only frees the Headbangers, but also arms the Razor Girls by capturing the wild boars and enlists the assistance of the Kill Master by heading into the heart of the spider’s lair. Once these beginner trials have been completed we stand at the first test of our worth. Eddie takes command for the first battle on the field of Bladehenge. They continue forward and take the battle to the front door of Lionwhyte’s pleasure palace. But it is not until Lionwhyte’s defeat that we enter the Belly of the Whale: the final piece of the Departure of the hero’s journey where the hero undergoes a metamorphosis of the self and world. Eddie is a roadie, always working from the shadows in an effort to make someone else look good. Now he has to step up to the plate. Lionwhyte is dead, but now so is Lars at Doviculus’ hand, the true villain of the story. The first act has come to an end. The second step is Initiation. Now that Eddie is apart of this new world or has become a new person he must prove his worth of being the hero by tackling the obstacles thrown in his way. The Road of Trials has already been replicated at an earlier point as a means of departing the world of old. Now there is a new set of three challenges. The previous troops were in service of another, but now Eddie must gather the final troops in his own name. The Fire Barons as reward for the ambush at Death’s Clutch, the taming of the Metal Beasts rewards with the Zaulia and the battle at the mines provides the inspiration for the Rock Crusher. In this section of the story we see Eddie and his road crew begin to mirror Odysseus and his. They are now nomads without a home, continuing on their journey to one-day return victorious. Both monomyth figures face trials that test their metal (excuse the pun) in search of their love so far away. This is Eddie’s Goddess, Ophelia, the representation of his unconditional love. The battle in the Death’s Clutch is the beginning of the second act of the story and the revelation of Ophelia as the next villain: the Temptress, the very thing threatening to pull him from the righteous path of his journey. Atonement of the Father does not have to be about the figure’s father, but whatever holds the sway in the hero’s life and defeat it. In Brutal Legend there are two. Ophelia in her Drowned Doom form is the first, as the corrupted creature now uses his love against him. Eddie must overcome his feelings to transcend the divided purpose Ophelia has instilled in him. The other is the shadow of his father, Riggnarok, whom he learns has a connection to this age and a terrible secret to go with it. He is an obstacle deeply connected with the conflict, further cementing Eddie’s place as the hero, but also possibly as its destroyer. Eddie’s father and the secret is something he must defeat but he can do so not by physical confrontation. Only by coming to terms with it can he surpass the father, a recurring theme in epic tradition as Achilles in the Iliad comes to terms with his father, Zeus and Pursues coming to terms with what his father cannot, the Minotaur. Apotheosis is the act of defying. Here Eddie must contend with his love for Ophelia and what she has become. Apotheosis is the contention of this contradiction within himself and he must defy one or the other to continue on. He chooses the rebellion continuing on the myth of his father Riggnarok and the hope that he can bring Ophelia back to the light. He kills his notion of love for her and defeats her in the mines and then follows her to the Sea of Black Tears. This is the final part of Initiation: The Ultimate Boon. It is the achievement of the ultimate goal of the journey. What the hero has been working towards the whole time. It is what the struggle has been all about and he must achieve it. In many other myths the boon is a transcendental object that grants the hero powers needed to complete his quest at home: the Holy Grail, the Golden Fleece, etc. Here Eddie’s boon is not an object, but people: the soldiers of his rebellion. The entire journey has been about gathering an army to fight off the Tainted Coil and set the world of men free. With the completion of this battle Eddie has done just that, he gets the final unit, the Rock Crusher. It is not a single unit that has been the goal, but all of them. However to achieve the Ultimate Boon the hero must face the ultimate danger, his own mortality. The journey takes the hero to hell and thus can he achieve the transition from being a divided person into a single spirit. Odysseus’ trip to the River Styx in The Odyssey is replicated in Brutal Legend’s version of hell, the Sea of Black Tears, the most dangerous place for men in the age of metal. For it tempts the race of man with power at the cost of their souls. Ophelia’s defeat at the Sea of Black Tears is emblematic of Odysseus’ journey to Hades. Eddie transcends himself and has centered his spirit and purpose on the final challenge, the right to return and ousts the usurpers as Odysseus’ did to the suitors back in Ithaca. Now here’s my problem with Brutal Legend: Where the hell is the third and final step? We have Departure and Initiation, but where is Return? The hero must return from his trails and tribulations a proven man and come home. Odysseus must return to Ithaca and be reunited with his wife. Jason must return with the Golden Fleece to Iolcus and be placed upon the throne. Luke Skywalker must face Darth Vader one final time and become a Jedi. So where the hell is Eddie Riggs returning after the tour to defeat the being he has unwittingly betrayed his cause to. This is more than just the physical travel or distance. The hero’s journey is about the emotional and spiritual journey of the man mirrored in his actions. Eddie has completed all the tests, but the game rushes the end and we do not get to see the fruits of his labor. Generally there may be a Refusal of Return, but that is not necessary for Eddie, there was no refusal to begin the journey there is likewise no need to refuse returning. The journey was not about going home to the modern era, but from the shadows to the spotlight to become a hero and then a return to the shadows away from the spotlight. The Magic Flight where the hero escapes with the boon is the major letdown when it comes to the gameplay. This is the step rushed through with the final battle occurring in the same location as the previous one. The confrontation is so quick, boiled into one fight sequence that you fight by yourself that it feels cheep. This is the step where you should have taken the boon, the army that you had been gathering, home. The final struggle against the Tainted Coil would have been the fight to return, not just home to Bladehenge, but to the previous state of existence, to return as the man behind the scenes. Rescue from Without would have used all the units gathered to fight back the hoard on the battlefield. We do get The Crossing of the Return Threshold in a cutscene. The game does, however, allow the final two parts of the third step to be integrated. Master of Two World and Freedom to Live where Eddie lives without fear of death and it instead becomes the freedom to live. The story is over, but the open world is now at your command to finish both in terms of the myth and sandbox. Brutal Legend sets up the hero’s journey superbly and then quits before we can get going in the final act. There is no final act. We have a two-act structure on our hands. The defeat of Lionwhyte and escape to the mountaintop is the end of the first act, the defeat of the Drowning Doom and Ophelia is the end of the second act, and the return to Bladehenge and defeat of Doviculus should have been the third act. Not only in story terms, but also in the terms of the hero’s journey. Tim Schafer for whatever reason just gave up on the story too soon. It would have beenÂ the return of Eddie Riggs spiritually as well as physically, his place in the world restored as the final soliloquy states, he works behind the scenes to make someone else look good. 13 Responses to "Where is the Last Third of Brutal Legend?" Yep I couldn’t agree more. I remember the mission where you and Lita travel back to Bladehenge and see it over run by the Tainted Coil. Eddie assures Lita to not worry because they’ll be back once they’ve defeated Ophelia. I honestly couldn’t wait for some epic liberating the homeland sequence, for me that would have been a far more satisfying final, not to mention it would have given you the chance to play a few battles against the tainted coil. It’s truly puzzling why it’s not there. Yes, that is a perfect example of foreshadowing. In fact that was one of the reasons I was expecting it. Another thing is that the game ends as soon as you get all your units and you aren’t given the chance to stretch your fingers and put your skills to the test on the battlefield. It not only makes sense following the legend, but also gameplay wise. Neat post, Eric. I’m going to spare you my anti-Joseph-Campbell mini-rant, I think, and just say that epic!=hero’s journey/monomyth. I’m of the opinion that the “hero’s journey” is much more folkloric than the epics, and even the tragedies, into which it gets transformed; those epics take figures from a sort of raw hero’s journey context and transform into what I tend to think of as more thematically-meaningful forms. But that’s really just a question of terminology–”legend” may be better than “epic,” even, in this case. Whatever you call it, though, the hero’s journey narrative shape is just inherently satisfying to our human firmware, and I think you’re right to point out the need not to flout it. Thank you for your comment Roger. Gald you got my invitation. I had a hard time writing this post, because I didn’t really have a direction for exploring it. I knew there was a missing third to the story, but I didn’t understand how to explain it. In fact after choosing to look at it through the monomyth I ended up rewriting how it fit the myth several times. The flowing nature of game narrative to fit game logic means there were some iffy points. One thing I want to try and explore, but realized I couldn’t was the concept of Brutal Legend as the epic. One part of that is the presence of the epic hero, which I covered, but I think there is much more there in the story. I speak for of the Odyessy than the Iliad, becuase I’m more aquainted with that work, but I think Brutal Legend actually fits the latter in terms of ideas and concepts. The special armor crafted by the gods for Achilles being the Deuce for Eddie Riggs. Ophelia takes the form of Briseis and in the second half both Helen and Paris. Lars an amalgamation of Agamemnon and Ajax. It could even conform to certain mythic ideas in the Aeneid. I’m rambling at this point, but I wanted to hear your thoughts on this. I ended up deleting nearly a page of material examining the Nordic and Greek mythilogical influences in the backstory. Such backstory is usually neccessary for the classical epic that I couldn’t help but feel that there is such a connection to Brutal Legend, as you say, being a full formed legend. 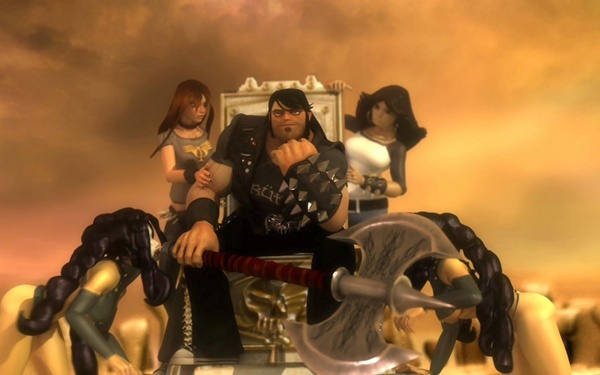 I definitely felt that Brutal Legend was 2/3 of the whole game. Rolling the final battle into defeating the tainted coil *and* rescuing Ophelia felt like they’d compressed the entire final story into one missions. (I do think you have all the units for that mission, but could be wrong). If that’s so, then perhaps the story is just there to support the multiplayer, but I can’t really believe that, either, as the game story seems to be really good up until that point where it just… stops. To me, it’s the biggest failing of the game. I can’t believe that the story mode would be there just to support the multiplayer either. This is a Tim Schafer game, a man who is known for his writing. Plus the world is just too richly constructed not to have single player in mind. It’s interesting stuff, and obviously mythic, but the problem with using the word “epic” is that if you use it precisely, you need to nail down something essential in the material culture of archaic Greek heroic poetry (this is what I’m on about with respect to oral formulaic theory and what is usually called “interactivity” in practomimetic art [ie "games"]). The narrative pattern of the _Odyssey_, on the other hand, is in fact a folkloric revision of the more conservative epic tradition to be found in the _Iliad_. Or, to put it another way, “epic” as a critical term doesn’t seem to me to get us anywhere unless we’re talking about a material culture of interactive storytelling–as opposed to narrative motifs that are shared across times, genres, and media technologies. The lack of a third act in Brutal Legend is pretty much exactly along the lines I was thinking when I completed it as well. Instead of an intentional departure though, I’d bet money that Tim Schafer and team simply ran out of time. 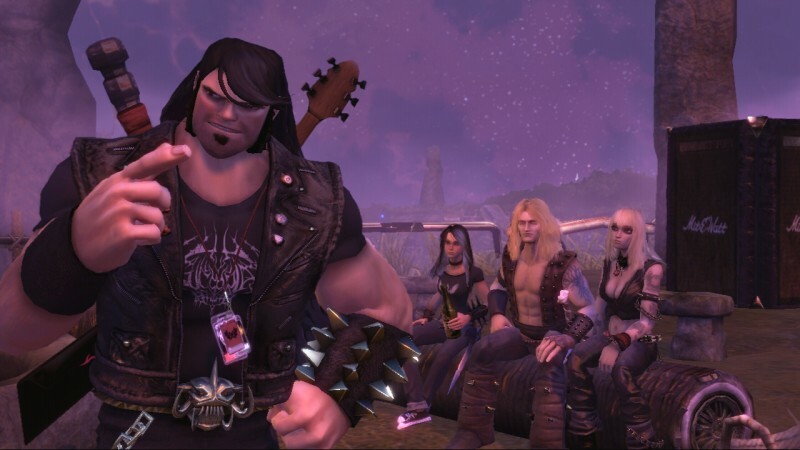 Brutal Legend had already been through a long development time dating back pre XBox 360, and with the publishing rights questionable, I can see why the studio would have cut the third act in favor of putting the game out. While it’s not the ideal choice, it was probably the most reliable way to get the first 2/3s of the game published. So I think it is likely that it was a rush to publish the game (likely with pressure from EA) that caused them to truncate the third act into a single mission. As most everyone here has said, the game foreshadows the third act heavily, so its exclusion is obvious. I know this is pretty old now, but I just stumbled upon this article. I had the EXACT same reaction when I finished the game. Considering it’s a Tim Schafer game, the missing third act came as a huge disappointment. We got some inelegant exposition, a boss fight, and, like you said, it just stopped. But I also felt that the narrative in general became a let down after the first act. Now by narrative, I don’t necessarily mean the story or plot — there’s probably a better word for it — but I thought a lot of the supportive elements of those aspects started washing away. In the first act you have this amazingly beautiful and cool place to explore. Its landscape is dotted with all kinds of “Metal” monuments, characters and beasts. But the rest of the game just boils down to “ice world” and “jungle world.” They don’t really do anything with them to continue the theme of the game. Even the last area, which I realize is supposed to be the Goth mirror of the first area, doesn’t have the same consideration put into it. It’s just oppressive and bland. Maybe it’s a separate issue, but I feel that a lot of the narrative elements of the game, not only the three-act structure, weren’t taken to their natural conclusion. I think it’s worth considering what went on behind the scenes in the making of the game. Executive meddling turned what was supposed to be a console-based RTS into the game we see now. “Tacked-on multiplayer” is a common term, but what makes the quality of the story so amazing is that it is in fact “Tacked-on singleplayer”; intended to be an extended tutorial for the multiplayer. When you as the player have finished the campaign, you have been trained in all the skills and mechanics needed to take the fight online. Is this the third act? A return to the glorious age of metal, where warriors fight hard and rock out in order to please the fans and put on the best show, ever. And who is the man behind the army, waiting in the wings (or floating above, with wings, as it were) making sure everything goes smoothly? When something needs fixing, he’s right there we he needs to be, lending some muscle, playing a solo or teaming up with a headbanger, and before you know it he’s gone and the show continues like he was never there. Eddie Riggs, Roadie. I don’t know if that is true, but if it is I think it’s kind of a shame, because I never touched the multiplayer and it might be too late now. Never really considered trying it. And if that was the concept to teach us the mechanics of the RTS it fails in regard that it only teaches us one of the factions. The other two have no tutorial. It also being tacked on I think would be a real pity, because the world was so original, creative and an inviting place to explore. To me the real content of that game is in single player campaign. And to say it was tacked on doesn’t seem right to me. When we were first shown it, it was all about the single player story. If it was the publisher demanding something, they must have demanded it early. Additionally it doesn’t seem like Schafer was against it with how much of a unique push he put behind it. Agreed on all counts about it being a shame. The details that I read were even more shameful; if you want to follow it up for yourself I read a lot of this on the TVTropes article, which has a few sources kicking around on discussion pages. Story goes that the multiplayer was actively hidden in the marketing. They actually wanted the game to use the guitar controller and be closer to what Guitar Hero: Warriors of Rock was supposed to be, so yeah take from that what you like. Again, from what I’ve read the near-complete quality of the single-player experience is amazing going by where it came from. Certainly made me reconsider the game, because I too was quite disappointed with what seemed like at amputated single-player experience.